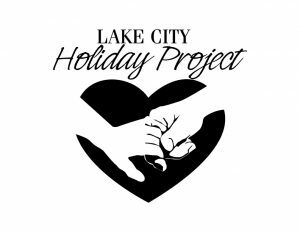 The LCHP Planning Team has committed this season to giving the holiday gift project logo a remodel (Joann Kerr Design) The holiday project, first started at the Little City Hall, Lake City Dept.of Neighborhood office by a city employee in 1986 has now been hosted by Meadowbrook Community CARE since 2003. A thirty year presence certainly deserves a little sprucing up every once in awhile. The updated logo represents a desire to be more than a top down relationship (old logo). The new design represents MC2 as an ‘alongside’ partner in the community. With a 30 year effort now upon us, we are hopeful and excited to work with the ‘giving’ community and supporting those most in need during the giving season. Thank you Joann Kerr Design for the work and inspiration.